Mrs. Thelma Jacqueline (Chitty) Pickle, 79, of Ft. Oglethorpe, passed away on April 17, 2018 in Red Bank. She was born on Feb. 10, 1939 in Ft. Oglethorpe to the late 1st Sgt. Charles A. Chitty Sr. and Edna Mae Jenkins Chitty. Thelma was the loving wife of the late Jack Pickle. She was a member of Edgewood Baptist Church. Thelma’s greatest joy was her family. She was also preceded in death by her brothers, Charles A. Chitty Jr., Jackie Lee Chitty, Franklyn R. Chitty and Lenord James Chitty; and sister, Helen Lorraine Mathis. 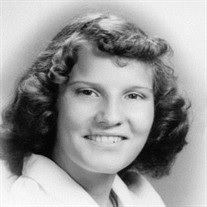 Thelma is survived by her sons, Lavon (Keen) Pickle, Dereck Pickle and Bobby Pickle; brother, Rex Perry Chitty; sister, Betty Jo Harris; grandchildren, Allison Pickle, Amy Pickle Ledford, Tiffany Pickle Grider, Hunter Pickle and “Little David”; and great-grandchildren, Alexander J. Drouillard, Ethan Grider and Haylee Grider. We would like to say a special thank you to the Home Health nurses that treated and cared for her as if they were family. Graveside service will be at 2 p.m. on Friday, April 20 at Forrest Hills Cemetery, 4016 Tennessee Ave. in Chattanooga, with Pastor Dale Kidd officiating. The family will receive friends, on Friday, from 11 a.m.-1 p.m. at the funeral home. Arrangements by Wilson Funeral Home- Ft. Oglethorpe Chapel.